For the next two weeks I will be posting activities to learn and explore outer space. (No spaceship required!) 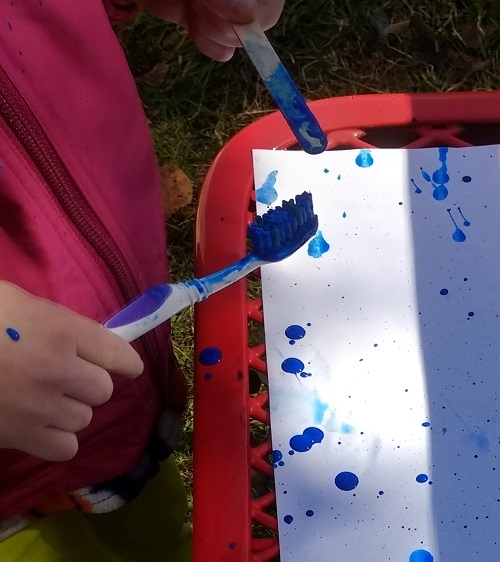 Space is one of our favorite science themes around here, so we will be spending a little extra time delving into all of those fascinating ideas. ABC Universe by Sterling Children's Books: This cute informative alphabet books goes through the universe as well as the alphabet A-Z. This was one of Little M.'s first books about space. When she was tiny, as had a much shorter attention span I would read her the letters and words in a very general way (such as, “Moon begins with the letter M. Let's look at the moon!”). As she got older and more interested, we used this book to investigate the universe in more depth. As such, this book is very adaptable. Moonshot by Brian Floca: This book is one of my favorites on this list. Beautifully written verse tells the story of the epic first journey to the moon. Alongside the saga of Apollo 11 are incredibly dramatic illustrations. If you want to impart a sense of wonder about the concept of space travel to your little one-read this book. Planets by Elizabeth Carney: This slim reader by National Geographic covers not only the planets, but also the sun and moons that make up the solar system. It is filled with facts as well as discussion about the rocky inner planets, gas giants, and dwarf planets. Good Night Galaxy by Adam Gamble and Mark Jasper: This board book doubles as a great bedtime book, in which the narrator says goodnight to many of the interesting objects in the universe. Additionally, the reader will learn many interesting facts about these things. The illustrations have a high quality comic book feel to them. This book is great for children of all ages. Stars! Stars! Stars! By Bob Barner: This book really asks to be sung or almost chanted, not read. The text is written in a rhythmic rhyming way that has a very sing-song sound. 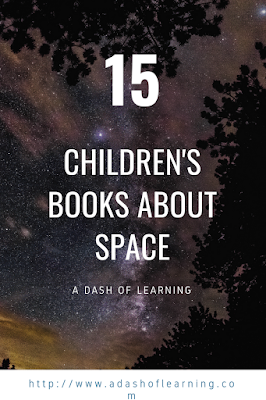 Starting in the center of our solar system, it goes on a journey through space filled with really sharp exciting illustrations. This is one that Little M. requests frequently (although she loves all of the books on this list). 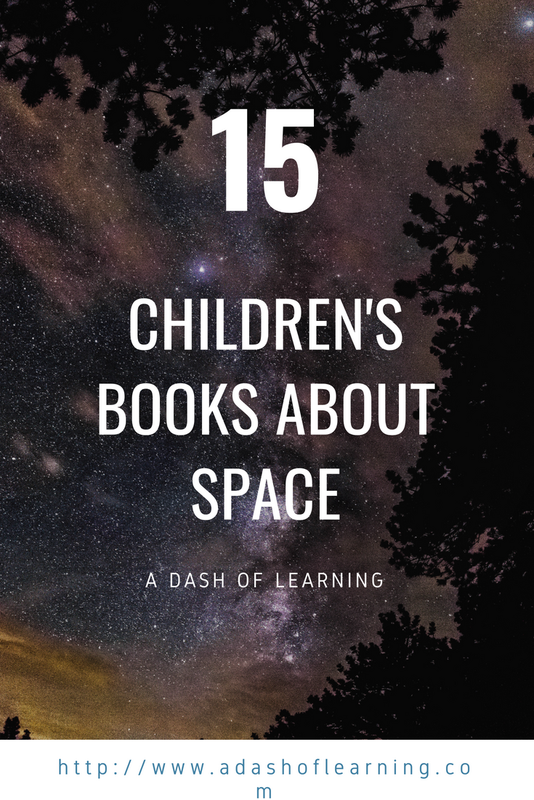 Little Kids First Big Book of Space by Catherine D. Hughes, illustrated by David A. Aguilar: This is a great resource from National Geographic Kids. Organized into chapters and filled with gorgeous illustrations, it is great for children who are ready to read (or be read to) something a bit more challenging or engaging. It covers many interesting topics such as the day/night cycle of the planet which are not covered by many of the other books in this list. UFO Diary by Satoshi Kitamura: This fascinating fiction story is told from the perspective of an alien (who is never depicted in the illustrations) visiting earth and one of the little boys who lives here. The boy shows the alien around and in turn the alien gives the little boy a ride in his spaceship. The ending is sweet, but sad. Little M. requests this book occasionally even though it sometimes makes her cry (especially if she is tired). Sensitive children may struggle with the concept of (permanent) separation at the end, but it is till a very sweet story. Mars by Elizabeth Carney: If you are needing an in depth look at the red planet, this reader by National Geographic has you covered. Learn about where the planet's name comes from, why it has it's distinctive red color, how we have explored the planet so far, and how we might colonize it in the future (and tons more cool facts). Our Solar System by Peter and Connie Roop: This neat board book about the solar system has cool feature: the pages get progressively longer allowing you to get a peek of all of the planets from the beginning. As you progress, learn more about each planet. This is a great choice for babies and toddlers. Meteors by Melissa Stewart: Little M. loves this informative leveled reader by National Geographic. There are many books to choose from about the stars and planets, but this book takes a look at the smaller objects in our solar system. You will discover why meteors light up the night sky, what they are made of, where they come from, and many interesting facts. 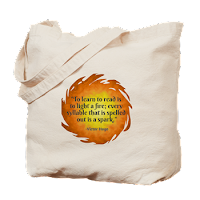 This is a great addition to your space book collection. Mooncake by Frank Asch: This cute fictional story chronicles a bear and his friend, a bird, trying to investigate the moon. Together they try a few ways to discern more information about the moon to find out what it's made of. Finally, they settle on building a rocket to visit it themselves. The bear has to finish himself when the bird flies south for the winter. The bear finally succumbs to the instinct to hibernate, and when he wakes up midwinter in a cold foreign (at least to him) world, he thinks he has landed on the moon. This story is very cute and funny. Baby Loves Aerospace Engineering! By Ruth Spiro, illustrated by Irene Chan: This is a very cute simple story which outlines some of the basic principles of flight. First, it compares a man-made plane to the flight of a bird, then it explains the physics of rockets (and the bird from the earlier example gets to take a flight into space). This very simple overview is appropriate for kids of all ages. Little Mouse and the Rocket Ship by Michael Teitelbaum, illustrated by Phil Bliss: In this cute fiction book a young mouse finds a toy rocket ship and brings it back to his friend the professor who not only repairs it, but turns it into a real working rocket. Written in the late eighties, this cute book that I picked up on a whim at the libraries 50 cent table reminds me a bit of the adolescent/professor relationship in the movie Back to the Future. Space Ultimate Sticker Book by DK: The stickers in this book as well as the illustrations are absolutely stunning. Many of the pages invite you to fill in missing pieces such as the planets of the solar system or pieces of an astronauts space suit. The way we “read” these pages, were reading each section and then placing the corresponding sticker. One section is simply of an empty space scene in which the child may freely decorate with stickers to make their own picture. The stickers are supposedly reusable, however I was only ever able to get the stickers to move once (any more than that and they seemed to lose their adhesive quality and curl rather than stick); additionally if the stickers were left on the pages for a while (days or weeks) they would rip when we tried to move them. However, the text is as good as a non-sticker book, so I would simply read the book like any other once the stickers are all placed (and perhaps encourage your child to place the many extra stickers onto a sheet of paper). The Solar System, by Flying Frog Publishing: This book is jam packed with fun information about the solar system. Beginning with the sun and moving outward, each major body in the solar system has a two page spread including illustrations, facts at a glance, and details about it and it's moons or other features. 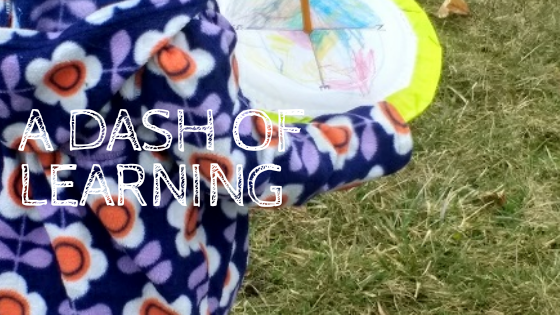 Excellent for older elementary children especially. Need more book suggestions? 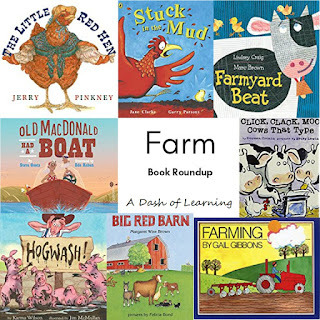 Check out all of our other book roundups to see all of our favorite books by theme. 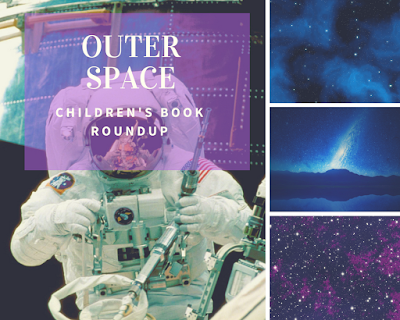 Thanks so much for checking out our roundup of children's books about outer space. If you enjoyed this list, feel free to share it with your friends on social media and/or leave a comment below. We'd love to hear from you! What's your favorite children's book about space? What did we miss? What other topics would you like us to do lists for?